How many times have we heard ABC Daytime&apos;s One Life to Live called the network&apos;s "red-headed stepchild"? That assertation certainly predates this blog. In fact it probably goes all the way back to the serial&apos;s origins. A soap created with the express intent to be socially relevant and dealing with class conflicts doesn&apos;t necessarily mesh well with the rampant corporate greed at play in the television industry. In recent years we&apos;ve seen OLTL denied promotion (I don&apos;t see any spots shouting about six-time Daytime Emmy winner Erika Slezak&apos;s big story this week), have its most popular storylines sabatoged (Kish, anyone? ), its budget slashed far worse than it&apos;s sister serials, yet all the while continuing to churn out consistently good soap opera. Sure, it hasn&apos;t all been great. We bemoaned The Rapemance, Jessica&apos;s (Bree Williamson) bio dad almost impregnating her, the Morasco Fiasco, etc. But sud-for-sud anyone who has watched both One Life to Live and All My Children during the past five years knows the former has been a much better soap opera, and more often than not — the best soap still airing on daytime. More importantly to the bean counters at Disney, OLTL has performed better in the Nielsens and didn&apos;t have to be moved across the country because its executive producer couldn&apos;t keep the show under budget. Maybe if OLTL had been moved, it would be even higher in the Nielsens? I guess we&apos;ll never know since ABC Daytime Chief Brian Frons made the "tough decision" to spend millions to move the show with the "stronger brand" only to further tarnish said brand. 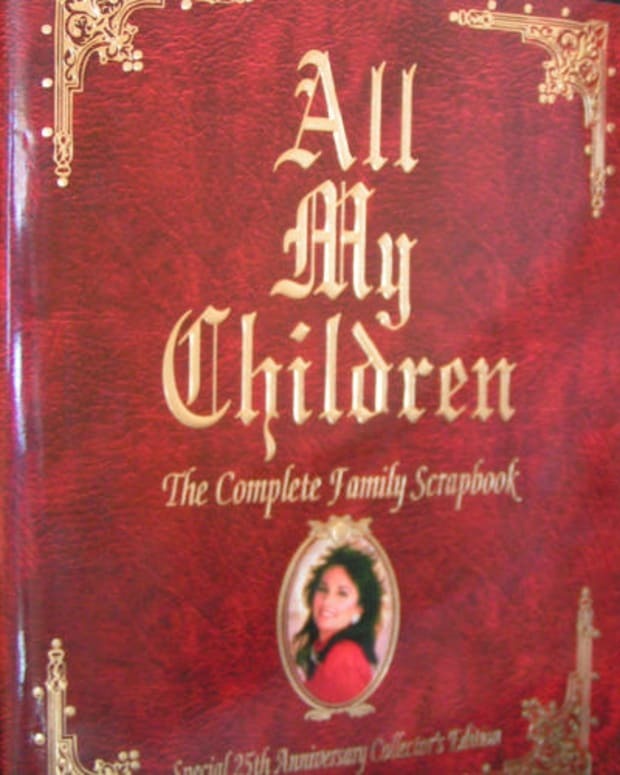 AMC&apos;s fate was unfortunately sealed when Frons allowed Megan McTavish to destroy the histories of two of the soap&apos;s most popular characters, Erica Kane (Susan Lucci) and Dixie Cooney Martin (Cady McClain), leading to viewer erosion. What executive, who claims to know anything about what modern women want to see on television, allows a storyline about a fetus a women chose to abort turning up alive? Where is the focus group data that sanctioned killing one of Pine Valley&apos;s most beloved romantic heroines with pancakes? As if allowing McTavish to rip apart the pages in Agnes Nixon&apos;s photo album wasn&apos;t bad enough, after a few lame duck interim regimes, Frons put the final nail in the serial&apos;s coffin when he hired his pal Chuck Pratt to helm the show. What McTavish managed to leave unscathed, Pratt plowed right through, penning storylines where a recast for formerly frigid Liza Colby (Jamie Luner) screwed a man she didn&apos;t even know on a pool table, and having a lesbian bride make out with a man the day before her historic daytime wedding to the genre&apos;s most adored lesbian icon, Erica Kane&apos;s daughter Bianca Montgomery (Eden Riegel). Mercifully, Lorraine Broderick, who has been associated with the show for decades, helped temporarily patch up what Pratt ripped apart, but when she decided she didn&apos;t want the full-on responsibility of rebuilding this woefully-damaged soap opera, what did Frons do? He hired David Kreizman and Donna Swajeski, late of not one, but two newly-cancelled Procter and Gamble soap operas, to finish Pine Valley off. So as sad as we are about the fate of All My Children, we&apos;re even that much more incensed about what was done to One Life to Live. The following is my opinion of what I think must have occurred with the cancellation of both soaps as I can think of nothing else that makes sense. What the network was not prepared for was the diminishing ratings of All My Children. When ABC chose this show to be relocated to Los Angeles, they seemed to put great faith into its longevity while knowing that one of their soaps, the New York one, was going to be sacrificed eventually. When One Life started pulling ahead of All My Children, ABC had a little bit of a conundrum. How could they now seriously cancel One Life, which they were planning to do all along at some point, and spare All My Children? They felt the backlash would have been so monumental that it would have been a PR disaster. So they did something that they felt that would get some serious backlash, but one that was easier to explain. Cancel them both and place two other shows quickly in those slots and say that this new direction adheres to the current daytime audience that prefers shows with some take away value. This way, it doesn’t sound personal. All I know is if this is the way ABC Daytime execs avoid a PR disaster, I&apos;m glad they aren&apos;t running BP.